Time-varying communication delays, data packet dropping, and other network-induced phenomena are inherent in networked control systems. Their presence can deteriorate noticeably control quality and narrow stability margins forcing designers to adopt conservative controller tuning. 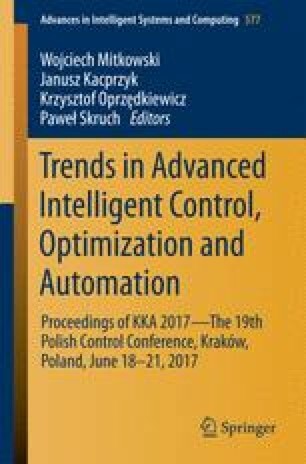 Control quality drop can be to some extent remedied by employment of network packet buffering or queuing, finite horizon state estimation, and continual time delay identification methods applied to networked control loops. The paper presents a modular structure for a networked control system where the named techniques are deployed in a network node located on the actuator site. A case study for a DC motor servomechanism and a periodic trajectory tracking problem is given. Simulation results are provided. This work was supported by AGH University of Science and Technology.